This version of this document has details specific to version 4.17.05. Any references that are specific to previous versions are oversights and should be reported as bugs. On a new install of 4.17.05, the installation script installs Postgres and Nginx. On an update of 4.17.01 from a new install of 4.17.01 (one that already uses Postgres and Nginx), the installation script updates Postgres and Nginx. 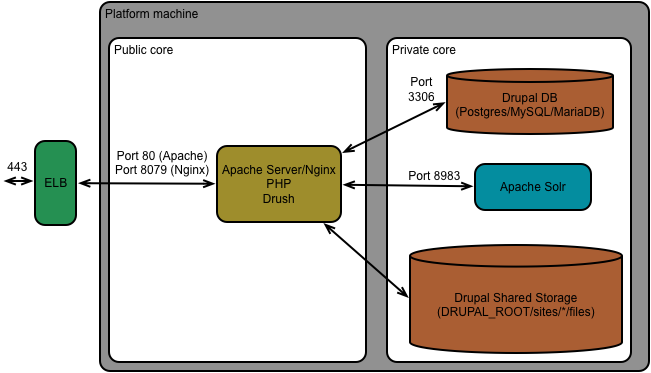 The Apache web server used for upgrades from a previous version of the portal. 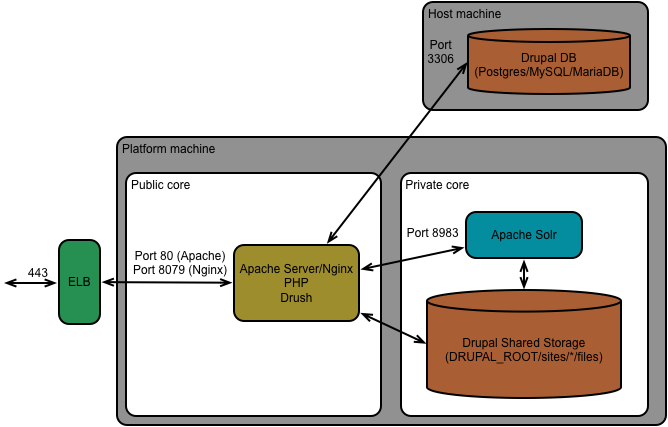 The database used by Drupal for new installations of 4.17.01 and 4.17.05. The database used for upgrades on RedHat 6.x or CentOS 6.x. The database used for upgrades on RedHat 7.x or CentOS 7.x.